An early publication credit was a short story called “Nadine” published in CCDC Magazine . It was paid in contributor copies, but oh well. My first major sf sale was the short story, “Ghosts in the Machine”, published in Aboriginal Science Fiction . “The Riverbed of the World”, was published in Strange Horizons . Strange Horizons continues to be a major presence at WisCon every year. Coincidentally, I shared a shuttle to the airport with editor Jed Hartman, who told me about this new online SF magazine just before it went online. And I think that was my first year at WisCon. My short story, “Glamour,” was published in OnSpec vol 20 no. 4. It’s one of the few stories that I’ve had published that doesn’t make me cringe to re-read. Quite some time after it was published, I learned that it received an honourable mention in Gardner Dozois’ Year’s Best Science Fiction Twenty-Seventh Annual Collection . I stumbled upon this fact accidentally, and it made my day. Recently, I made an eBook version of the story available for free. On the Internet! 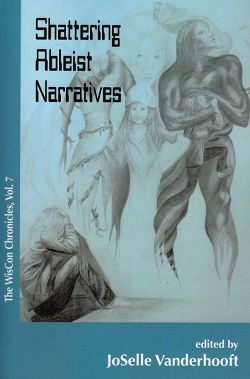 A recent publication is a non-fiction piece in the WisCon Chronicles Vol. 6: Futures of Feminism and Fandom , edited by Alexis Lothian. I was pretty happy to have a piece included in this book. My piece is called “Evolving a Class Conversation at WisCon,” and in this piece I attempt to wrestle with the multiple, competing and intertwingled definitions of class that have come up in previous years’ panels, while at the same time comparing class complexity to gender complexity as I’ve come to see it in various trans circles that I travel in. I also contributed a piece to WisCon Chronicles Vol. 7: Shattering Ableist Narratives . My essay is called “I was Born the Day I Began to Pass,” and it considers a variety of thoughts about passing — from the “passing as able-bodied” perspective as well as the trans meaning. I’ve always been interested in the comic form, and have been working to improve my art skills to be a good companion for my writing skills. I’ve picked up a Cartooning certificate from George Brown College and I’ve taken a large number of classes from Ty Templeton’s Comic Book Bootcamp. This comic was produced as part of the “master class” course — different people who’ve taken part in the class contribute stories about the descendants of the Holmes family. I’ve written one story, and illustrated another. It was great fun. 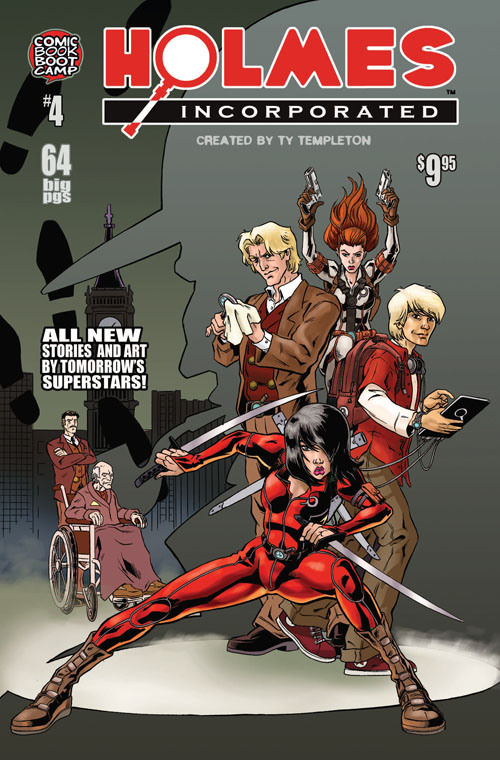 Buy it now on comiXology. 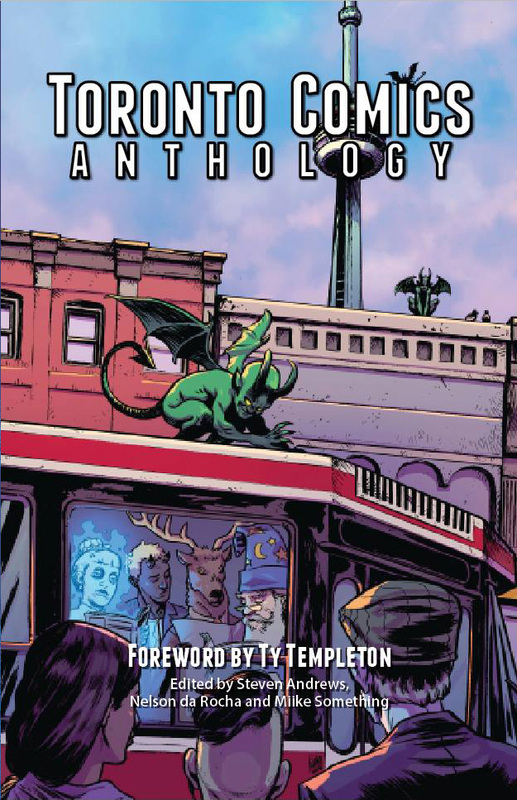 The second volume of Toronto Comics is my third comics credit. I wrote and drew an eleven-page comic called “Sandwich Boards and Salami”, a story about Toronto’s crank writer from the 80s and 90s, Crad Kilodney. The editors ran a really successful Kickstarter to help cover publishing costs, and we’ve received some really nice reviews. 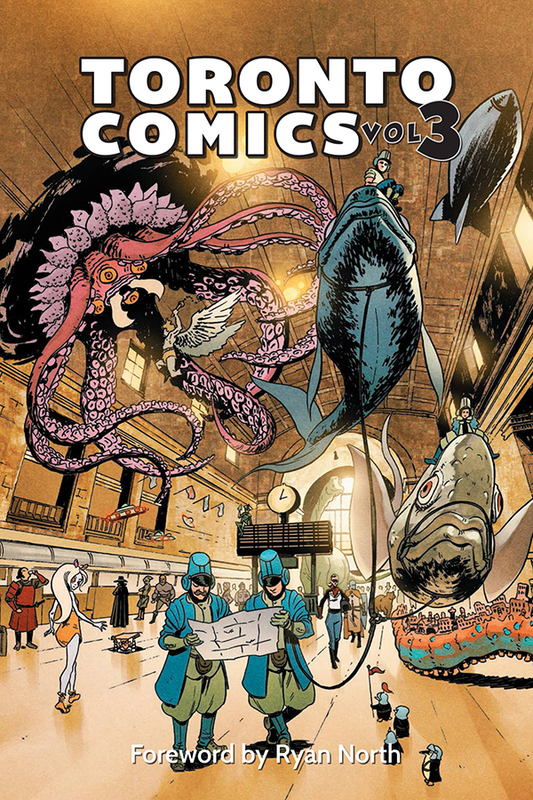 The third volume of Toronto Comics launched at TCAF 2016. It’s the largest book to date. In this third volume, I wrote a story (“Lofty Aspirations”) about a couple who live in a loft in downtown Toronto who become suspicious of their neighbour. In a departure from previous years, I didn’t draw the comic — this year, it was illustrated by the amazingly talented Xan Grey. Take a look at this review! 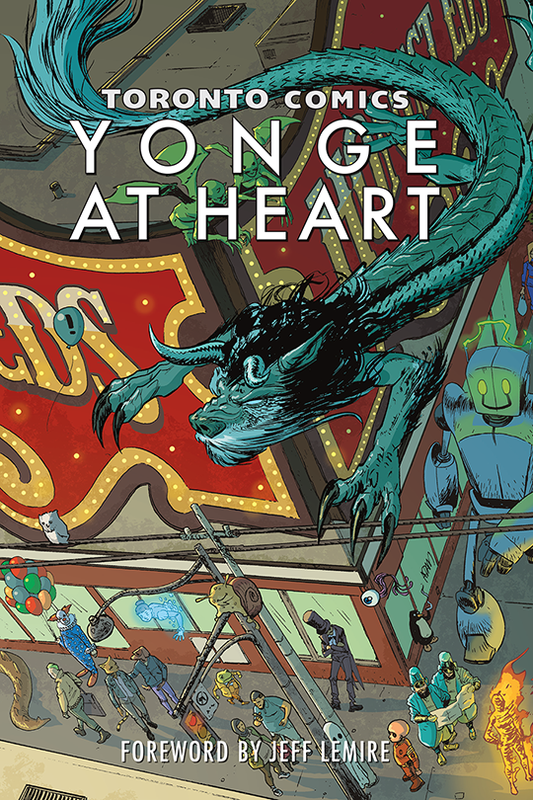 Toronto Comics: Yonge at Heart was released at TCAF 2017. For the fourth volume, I wrote the story “Housing Challenge,” about Toronto’s really redonkulous housing prices. More specifically, I imagined a future where housing prices are so unreasonable that people go on reality television to fight each other in giant robot mecha for a chance to win a condominium. Y’know. As one does. My collaborator for this story was the artist, Brenna Baines, who truly amazed me with her designs and final art. In particular, when I finally saw the final coloured pages, I was all agog. Ever wondered what causes those mysterious subway delays? 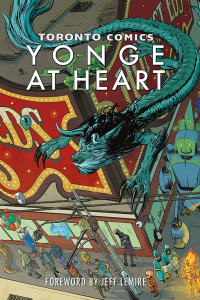 Or at least that’s the comic book premise of one of the 21 new stories in the fourth volume of Toronto Comics, featuring tales about everything from giant robot battles over overpriced condos — to secrets hiding within Honest Ed’s. Wayward Sisters is the first “special theme” anthology put out by TO Comix Press. 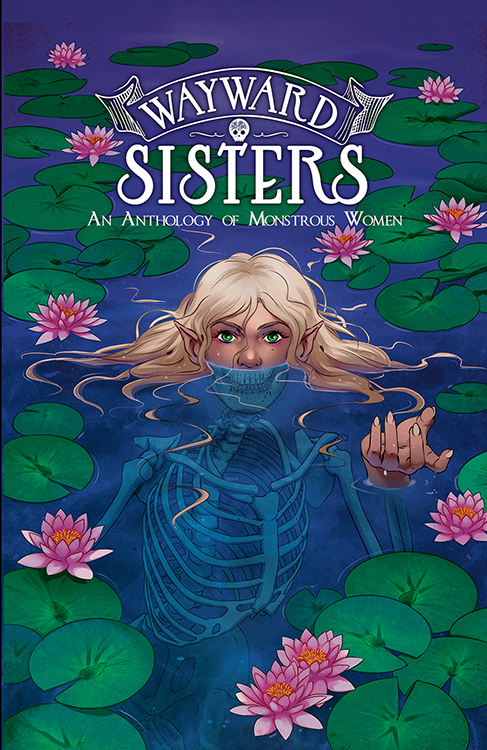 It’s a collection of stories of women and non-binary monsters by women and non-binary creators. In this book, I was keenly interested in writing horror — a genre that, admittedly, I hadn’t tackled before. So I sat down and had a bit of a think about what kind of things horrify me. I landed on three things: body horror, the suburbs, and expectant parents. And so my story emerged from those three things. I was delighted to work with American artist Dee Williams, whose design work was incredibly strong. I also got the chance to collaborate with my erstwhile studio-mate, Meaghan Carter. I’ve known Meaghan a while, but this is the first time we’ve worked on the same piece. 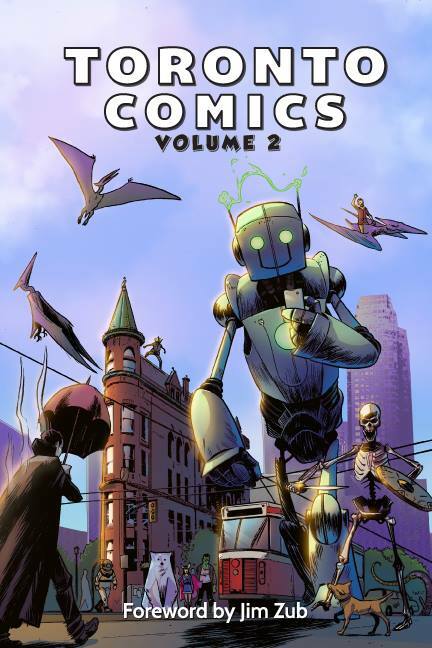 The book received an award for Best Graphic Novel for 2018 from the Canadian Independent Comic Book Wiki. While most of the tales lean towards good nature, there are a couple that are rather unsettling. The one that immediately comes to mind is “White, Anglo-Saxon, Protestant” by writer BC Holmes, artist Dee Williams, and colorist Meaghan Carter. If you want to see a good twist, look no further. This starts out as a Craig’s List ad for a couple looking for a man to help them conceive and quickly takes a dark turn. There’s a disturbing quality to the story from the beginning and it only gets stranger and creepier as it goes on. This is a chilling read and well worth the price of admission. On the awesomely weird side is “White, Anglo-Saxon, Protestant” by BC Holmes and Dee Williams. It’s a unique combination of body horror and comedy that shouldn’t be missed. Da es um Monster geht, gibt es auch die eine oder andere gruselige Geschichte, zum Beispiel geht es einmal um, sagen wir, Bienen, Mütter und eine Beziehung die für beide Parteien „von Vorteil“ sei. The tone is as varied as the topic. “Date Night” and “Best Boo” are frankly adorable. “Inheritance” and “White, Anglo-Saxon, Protestant”, though, shouldn’t be read before bedtime. 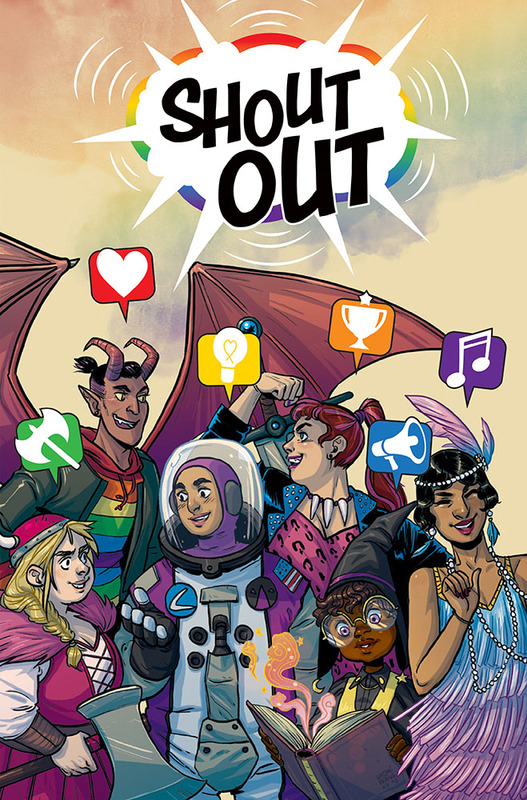 Shout Out is an anthology of queer, YA genre stories.